Sonam Kapoor has been roped in as the brand ambassador of Electrolux. Actor Sonu Sood says "Dabangg" is the turning point in my career. Shah Rukh Khan met the cast and crew of "Khichdi - The Movie". "Kaali.." is inspired by mythology but not based on the Hindu goddess. Vivek says that it's acting and expressions that matters more than language. 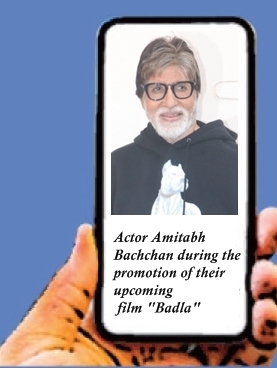 Big B says the patience and will shall be on test ahead of Ayodhya verdict.